When two ethically and sustainably minded brands get together for a sample sale...only good things will happen. 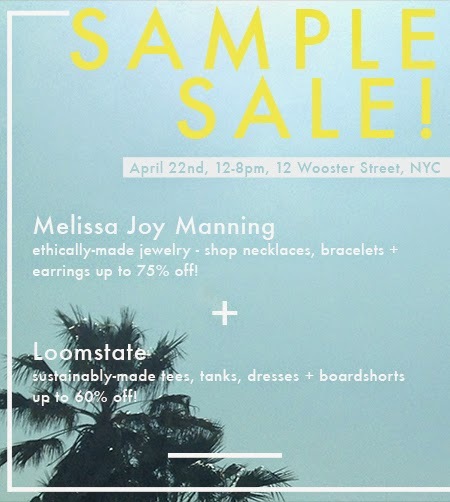 One day only, so make sure to swing by the Melissa Joy Manning SoHo space on Earth Day for some guilt-free shopping! In honor of Earth Day we will donate 10% of proceeds to the Clean Water Fund.